Good catch and speculation, I can totally see it! I think there is nothing wrong with a company that is making a lot of money, it’s basically the purpose of a company. Otherwise it would rather be a charity organization. However, I think WordPress is a special case, it’s not a regular economy or market due to the history of WordPress and involvement of Automattic. 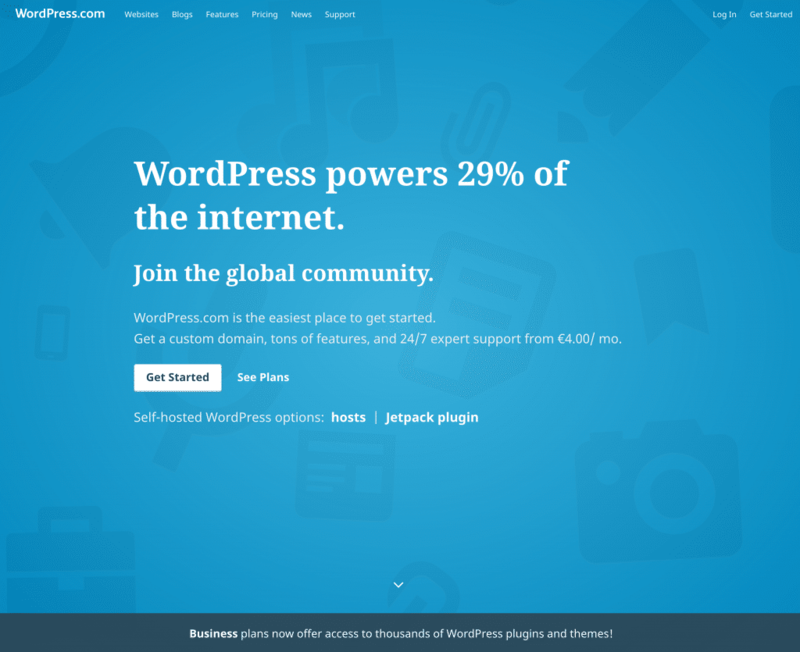 Making money with WordPress if you own the WordPress.com domain is a no-brainer. People who are new to WordPress simply don’t understand this whole .com / .org thing, why should they? Why would anyone name two different things basically the same? It’s extremely confusing, especially when the differences between the two are becoming more and more less obvious. With the WordPress.com brand Automattic has in my opinion a huge advantage over the competition and I expect this will heavily pay off in the future. Especially if SaaS becomes more popular, if there are less restrictions on WordPress.com in comparison to self-hosted sites and then there is Gutenberg, which will change the market anyway. Gutenberg is the missing piece on WordPress.com, as it especially caters to their target audience (less experienced users). This of course also explains why they are pushing Gutenberg so hard, I actually would do the same. Anyway, it will be very interesting to see where this leaves the competition and WordPress ecosystem in the future. It obviously can be quite a challenge to compete with a WordPress business that basically is branded as WordPress. Less experienced people often just want to get started with their site and this is what WordPress.com offers. With Gutenberg and the new direction of WordPress core, people basically will be educated that they don’t need to know anything and just press a few buttons to get started. It’s all tailored to what WordPress.com is offering. Very interesting read, just wondering though how well-known the Jetpack name really is, especially among WP newbies?